My husband and I finally made our first trip to a Trader Joe’s several weeks ago. Trader Joe’s grocery stores have found their way into North Texas, but the closest one is still 45 minutes from where we live. I was most excited to check out their snack selection (it’s obviously not very practical to go that far to buy refrigerated and frozen groceries). I picked up a handful of items to try out, including Roasted Coconut Chips (large pieces of roasted coconut, flavored lightly with sugar and salt – YUM!) and their famous Cookie Butter. 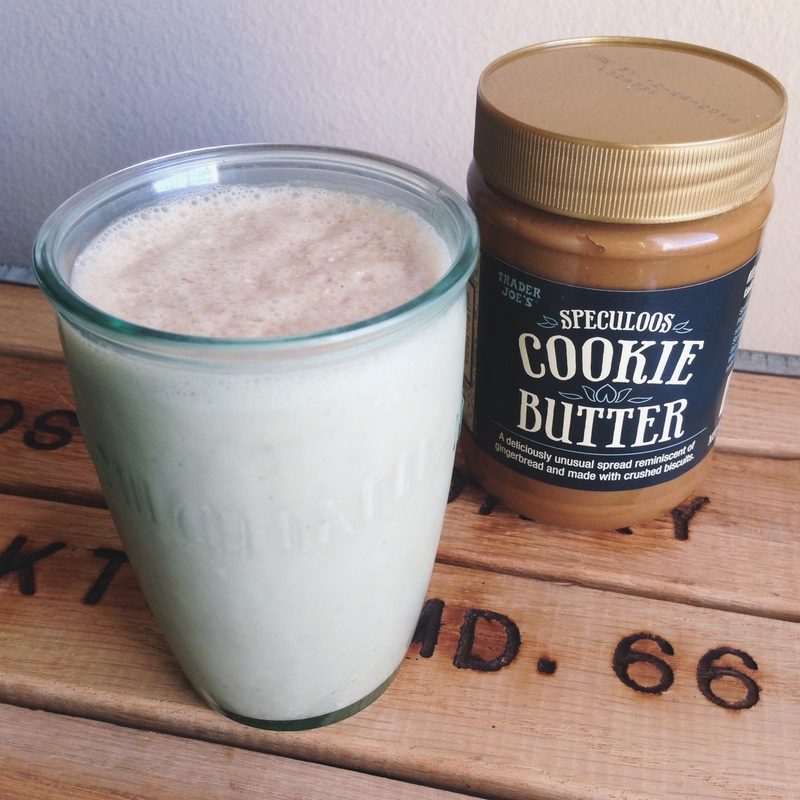 Trader Joe’s cookie butter is what brings us here today. Have you tried it? I’ve heard people rave about it and, the truth is, it really is so addicting. It’s a spread that tastes similar to sugar cookie dough or graham crackers, with a peanut butter-like consistency. 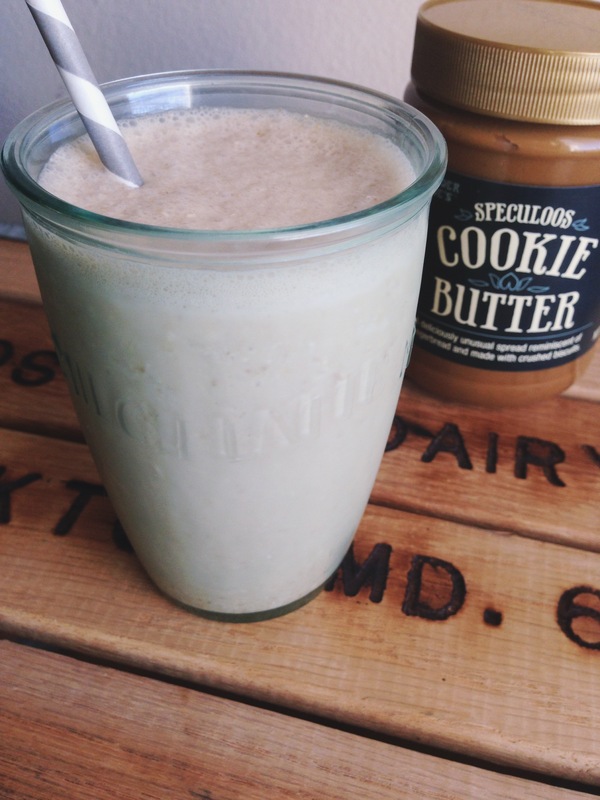 Instead of eating the whole jar with a spoon, I came up with this cookie butter flavored smoothie! 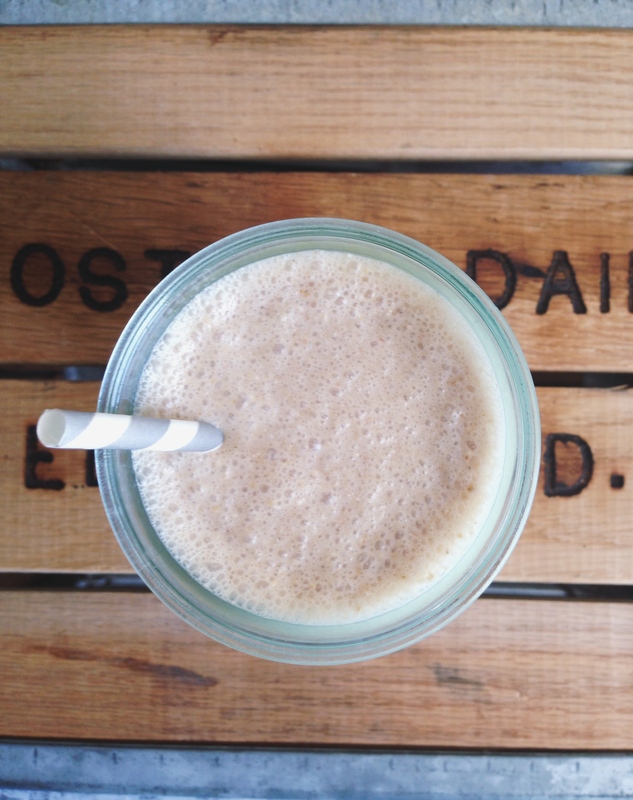 This cookie butter and oats smoothie tastes kind of like a cookie milkshake. Maybe I should’ve named it a milkshake, but there’s no ice cream in this drink, so I’ve decided that the smoothie title was justified. This snack may be sweet but it’s still healthier than a milkshake, at least that’s what I like to tell myself. Combine all ingredients in a blender and blend until smooth. Taste and add extra ice or milk if you’d like. Do you have any Trader Joe’s favorites? Share your favorites in the comment section below! I love the sound of coconut chips on ice cream, I’ll try that! I also need to try dipping apples with cookie butter, I’ve been trying to think of semi-healthy ways to enjoy it. I just recently discovered cookie butter and now I’m addicted. This smoothie sounds interesting. I might just have to try it. It’s not an average smoothie, but it’s a fun treat! Thanks for commenting Andrea! Oh my goodness. I have a feeling if I made this I would be addicted. 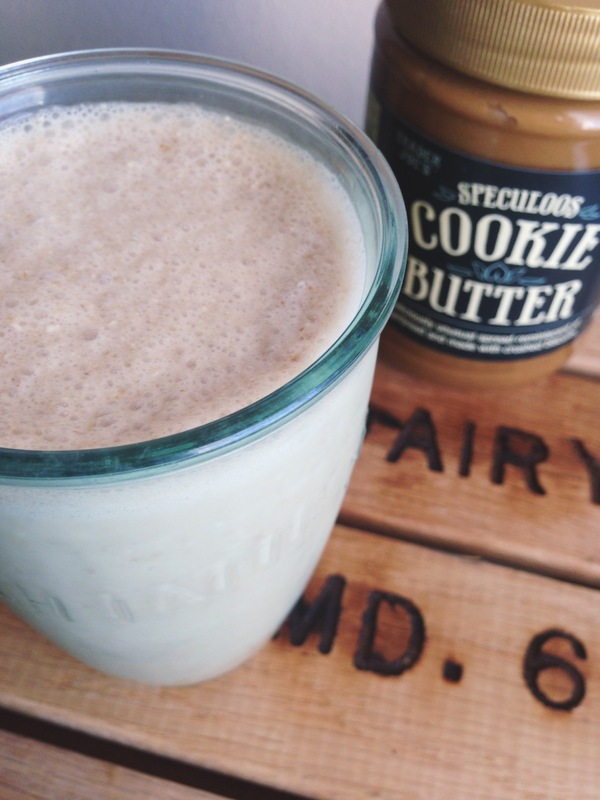 I have been dying to try cookie butter for the longest time! I figure anything with the words “cookie” and “butter” in the title is a keeper. I’m sure it’d be great with whole milk or half-and-half cream! Pingback: 29 Cookie butter recipes (#11 is a personal fave!) - C.R.A.F.T. Ok, had to make this today. I added 1/2 of vanilla yogurt and also used the NEW Trader Joes Cookies & Creme Cookie butter. HEAVEVN!!!! This looks delicious! I’m always glad to find a new way to eat Speculoos/Biscoff Cookie Spread. Thanks for sharing!